Born Julius Garfinkle, on New York’s Lower East Side, Garfield was the son of a coat presser and cantor, and a mother who died when he was just seven. He spent much of his childhood on the streets, where he ran with Bronx gangs. As a teenager, his life took a turn when he came under the tutelage of noted educator Angelo Patri who encouraged him to study drama. “Julie,” as Garfield was called throughout his life, by friends and family, went on to earn a drama scholarship at the Heckscher Foundation Drama Workshop. 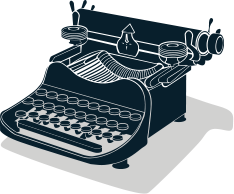 Through the workshop he met playwright Clifford Odets, who helped to pave his way into the innovative Group Theater. It was in a Group Theater February 1935 performance of the Odet’s play, “Awake and Sing,” that Garfield first caught the attention of reviewers. Yet, he might have remained a stage performer if not for his disappointment over the casting of Odets’ “Golden Boy.” Though the central role had been written with Garfield in mind, it instead went to the director’s brother-in-law. Garfield, who took a lesser role, was primed for a career change when he was approached by Warner Bros. Then known for its movies for and about the working class, the studio signed him to a contract. Garfield’s talents and rebellious persona were apparent with his first film, “Four Daughters,” for which he was nominated best supporting actor of 1938. As Mickey Borden, an orchestrator who comes into the life of a sunny blonde and her musical family, he sardonically surmised, “The fates are against me. They tossed a coin—heads, I’m poor, tails I’m rich. So what did they do? They tossed a coin with two heads.” That sense of fatalism would become a Garfield motif. Indeed, he enjoyed his only traditionally heroic role in the 1945 title “Pride of the Marines,” which followed the return home and rehabilitation of real-life Marine Al Schmid. Blinded during a bloody night attack on Guadalcanal, Schmid nonetheless machine-gunned some two hundred Japanese soldiers. Frequently, the men he played were on the run—from themselves as well as from the law. In “They Made Me a Criminal” (1939) he was a prizefighter who headed west following his involvement with a murder; in “Dust Be My Destiny” (1939) he was an escapee from a prison work farm; in “The Breaking Point” (1950) he was a boat captain who smuggled illegal aliens; in his final film, the 1951 “He Ran All the Way,” his character goes into hiding following his involvement in a payroll robbery in which a policeman is killed. Within the Garfield oeuvre, redemption came at a significant price. “Body and Soul” (1947), about an unscrupulous prizefighter, climaxes when Garfield’s character refuses to throw a fight. “What are you gonna do, kill me? Everybody dies,” he says, in a defiant but downbeat climax. Renowned for its realistic boxing sequences, the movie earned Garfield a best actor Oscar nomination. In the similarly dark “Force of Evil” (1948), Garfield was a crooked lawyer involved in a numbers syndicate. Both movies, which were produced by Garfield’s own company, continue to enjoy cult status, in part because of the involvement of filmmaker Abraham Polonsky, who was later blacklisted. Because of his own outspoken liberal views, Garfield also came under the scrutiny of the House Un-American Activities Committee during its investigation of the Communist infiltration of Hollywood. During his 1951 testimony, Garfield surprised friends and associates by contradicting his well-known viewpoints. In the aftermath of his testimony, major film offers ended. The actor was estranged from his family when he succumbed to a heart attack at age 38. Those closest to him claimed that the stress of the investigation contributed to his death. Because Garfield had an off-screen reputation as a lothario, and because he died in the bed of a female friend, there have long been rumors regarding details of his death. In the 1993 movie “Indecent Proposal,” in which multi-millionaire Robert Redford has a contract drawn up regarding a pending sexual liaison with Demi Moore, the lawyer adds a “John Garfield clause,” explaining, “That’s if you die in the act.” But the sexual lore about Garfield pales alongside his fiercely memorable screen images. With his tousled hair, ubiquitous cigarette, and embittered world-weariness, he is a reminder that life is a survival course. It could also be said that the original movie rebel helped to make possible a far more legendary career: Garfield originally was sought for the role of Stanley Kowalski in the Broadway play “A Streetcar Named Desire.” He turned it down, believing that the character of Blanche du Bois overshadowed Kowalski. The role went to a twenty-four-year-old unknown named Marlon Brando. In essence, one rebel passed the torch to another. 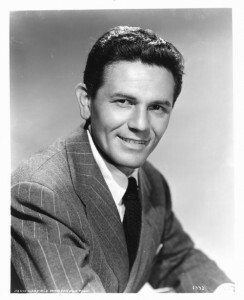 Beaver, James N., Jr., John Garfield: His Life and Films. New York, A.S. Barnes and Co., 1978. McGrath, Patrick J. John Garfield: The Illustrated Career in Films and On Stage. North Carolina, McFarland & Co., 1993. Morella, Joe, and Edward Z. Epstein. Rebels: The Rebel Hero in Films. New York, Citadel Press, 1971. Swindell, Larry. 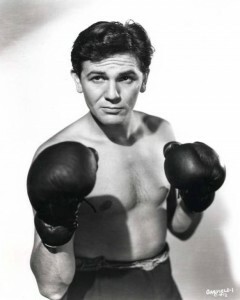 Body and Soul: The Story of John Garfield. New York, William Morrow and Co., 1975. Frequently, the men he played were on the run—from themselves as well as from the law...Within the Garfield oeuvre, redemption came at a significant price. “Body and Soul” (1947), about an unscrupulous prizefighter, climaxes when Garfield’s character refuses to throw a fight. “What are you gonna do, kill me? Everybody dies,” he says, in a defiant but downbeat climax.